Awards: Newbery Medal winner, Caldecott Honor book, Coretta Scott King Illustrator Honor book, listed on multiple "Best Books of 2015" lists. After church on Sundays CJ and his grandmother take the bus to volunteer at the soup kitchen. At first CJ doesn't really want to go and along the way, he questions why they have to go, why they don't have a car, wishes that he had an iPod, wonders why that part of town is so dirty, etc. His grandmother helps him see things in a new light, pointing out the positive and beautiful things around him, showing him how to appreciate the simple things. They see and talk to a variety of people along the way, and in the end CJ is glad he went. I love the way this book is truly multi-cultural and diverse without being preachy or stereotypical. It shows people of all colors, shapes, sizes, disabilities, and ages in a completely natural way, as part of the surrounding community without drawing special attention to it to make a point. I think this is truly the best way to help children appreciate that everyone is different is some way and that being different is okay, by just showing diverse people in an everyday setting, doing everyday things, rather than saying, "Look at Johnny. Johnny is DIFFERENT! But that's okay." Just show it being okay. I also liked the message of being able to appreciate the simple things, be content with what you have, instead of focusing on what you don't have. I liked that it showed urban life in a positive way, and showed people pitching in to help others in their community in a matter-of-fact manner. I don't care for books that are overly preachy and heavy-handed with their message. This book presented it perfectly, and showed urban life and the issues of poverty and homelessness in an age-appropriate way. The illustrations are charming, with their childlike quality yet rich detail. While the story itself has a great message, the illustrations are where this book excels in presenting diversity. We see various skin colors, ages, sizes and shapes. We see a blind person with a seeing eye dog, and people in wheel chairs. We see a street musician, a man covered in tattoos, and people who are hungry and perhaps homeless. All are presented in a positive or neutral way, just as ordinary people in the background of CJ and Nana's normal routine. I think this would be a great book for all children to read. Urban-dwelling kids and children of color would appreciate seeing themselves and their community presented in a natural and positive way. It is also a great way to expose suburban and rural children to the urban lifestyle and show them people of diverse backgrounds presented in a positive way, just going about their everyday lives. I don't know how it would do in a storytime setting, but it would be a great one-on-one read to encourage questions and discussion. I have to say, while I think this is a great book with a wonderful story and message, I have mixed feelings about a picture book being given the Newbery Medal. 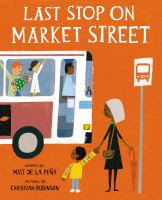 While I know the Newbery criteria only states that the medal should be awarded to a distinguished book for children under 14 that shows "respect for children’s understandings, abilities, and appreciations," and this book certainly fits that; in my mind, the Newbery is for middle-grade books. It seems lately, the Newbery is focusing more on trying to showcase alternate formats and writing styles and pushing the boundries, rather than just judging the stories themselves, with so many of the recent winners and honor books being graphic novels, books in verse, hybrids, and now a picture book. I personally would have chosen Echo or The War That Saved My Life as the Newbery winner. I am totally on board with this being named a Caldecott Honor book and a Coretta Scott King Illustrator Honor book, and am a little surprised is wasn't the winner of at least one of those two awards. I realize the Caldecott is based solely on the illustrations, however, so neither of these awards recognizes the actual text, but I still would've given it one of them over the Newbery. Children age 3-6 don't know the difference between an awarded and a not awarded book. They either like a book or not. In my opinion this book IS preachy and stereotypical and it is more a handbook than a literary art creation. It gives children a very limited chance for their phantasy and imagination. Especially a children's picture book, where the text is secondary and the illustrations play the main role and captivate the children's attention should give each child the opportunity to take use of its individual imagination and see the message of the book its own way. I'll grant you that kids don't care whether a book is an award winner or not, I certainly wouldn't chose a book for a child based solely on that criterion, and my reaction is often "Huh?" when I see which books win awards. But picture books serve many different purposes, some are informational, some have a message, some are purely silly, some introduce new vocabulary and sounds, etc. As far as encouraging imagination, I don't know why a child couldn't look at the pictures in this book and make up their own stories about all the different people in the pictures, where they are going, and what they are doing, etc. 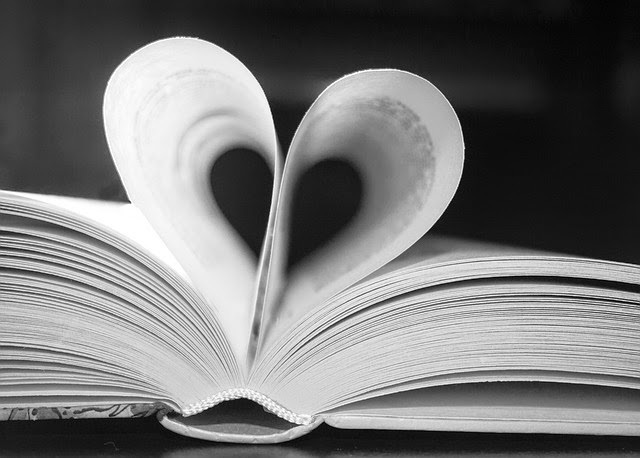 Everyone has different tastes, and no book appeals to everyone. Fortunately, there are many different books to choose from!